When you’re in need of a new luxury sedan, the new Mercedes-Benz C-Class should be first on your list. You can also find an AMG®Ⓡ performance model. Not only does it have a sporty, spacious design, but you’ll find advanced entertainment and convenience technology to keep you connected including BurmesterⓇ audio, touchpad COMAND®Ⓡ navigation, Mercedes me app integration, mbrace®Ⓡ Connect, and Advanced safety suite. Our sales team is standing by to get you behind the wheel of the model that best suits your budget and driving needs, and it’s their goal to make the car-buying process that much less stressful. 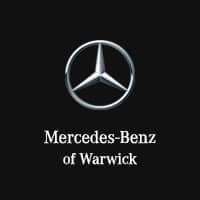 When you’re ready to take your East Greenwich commute to the next level, stop by Mercedes-Benz of Warwick to pursue the Mercedes-Benz C-Class for sale in Warwick, RI! Contact us today to get the process started. If you’re still doing your research, explore the Mercedes-Benz C-Class vs. BMW 3 Series or even the C-Class vs. E-Class. In addition, you can browse our inventory of pre-owned models like the used Mercedes-Benz C-Class to find the model that’s right for you!